Finally Chicago Desavanja in your pocket! 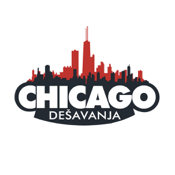 This iPhone application is a supporting app for the existing website www.chicagodesavanja.us. It is a guide for all of Chicago's social events meant for the people from former Yugoslavia and the rest of the Balkans. You will also have access to all the business listings at your fingertips as well as easy access to advertising.